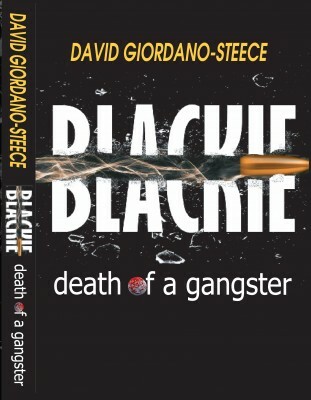 David “Blackie” Giordano-Steece has been called a vindictive sociopath, had survived another shootout. Blackie’s crew was nefarious for high jacking, shake-downs, trading women overseas, ripping off guns from armories or hired-out muscle. 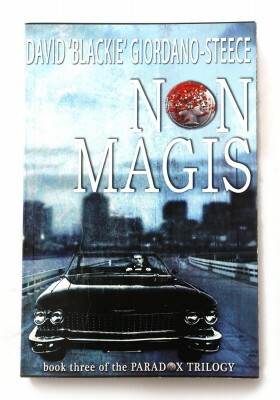 His arrival with his Mafia crew always carried a threat of violence. Friends loved him, enemies feared him. To most he was an enigma, best left alone. This latest attempt on his life would cause a lot of pain—for someone. 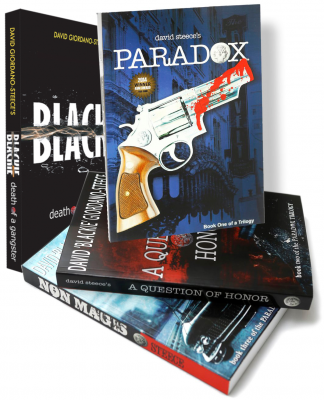 Blackie and his crew would find the shooter—they had snitches everywhere. Blackie took the attempts on his life because he thrived on the vendetta. 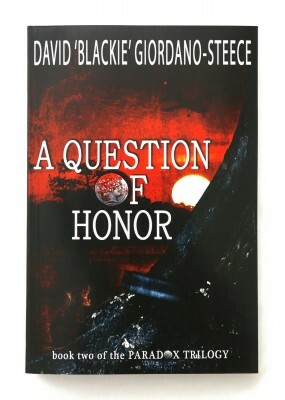 His presence always instilled a state of intense fear, with dolore. 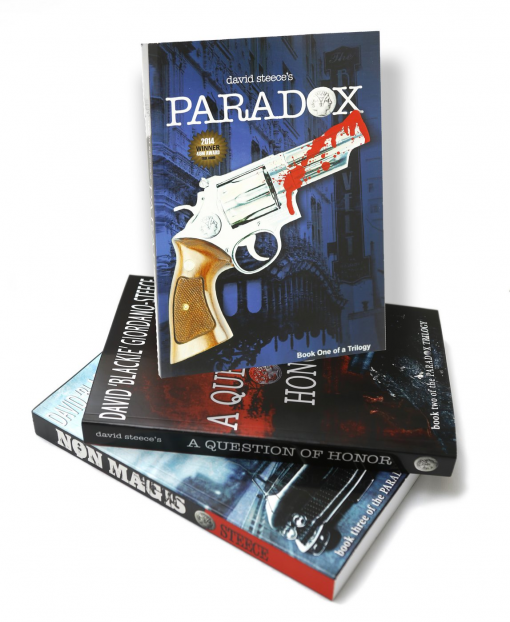 The final details in a life of contradictions where Blackie is transformed from the gangster running the muscle for organized crime to a police officer charged with the duty of upholding the law he once so easily lived outside. and physical well being of the people that they meet and greet each day. a gun to protect what is theirs. nosed, straight forward, and Devil may care bad boy. cannot measure up; do not feel too badly. Very few people today could.